Implement a video surveillance security system! 4 screen display modes are available. Multi alarm triggering method: sensor, motion, video loss, and HDD space shortage. Supports schedule recording mode, recycling recording method available. Supports multi-channel playback, search by time/date and recording events, image options include zoom, capture, save, print, backup. Supports remote surveillance and PTZ control through web browser. 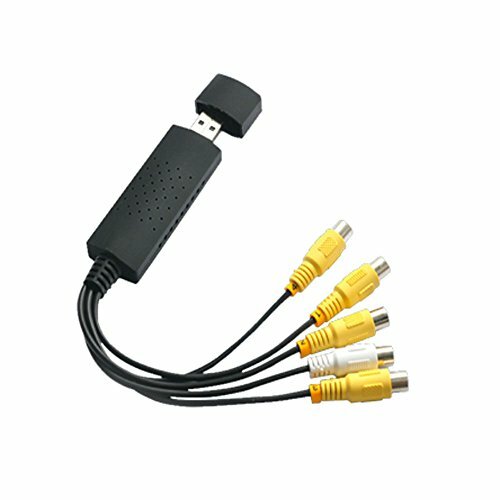 Package Includes: Easy CAP 4 Channel USB 2.0 DVR, Audio Cable & USB Cable, Quick Install Guide, Software CD. System requirements: Intel P4 CPU - 1700MHZ; HDD 80G; RAM 256M; Microsoft DirectX 9.0C; USB 2.0 port and Audio Card Dimensions: 3.5 in x 1.1 in x 0.59 in. Features 4-channel video input and 1-channel audio input in one card, allows you to watch 4 different video displays on one screen. Record Video at 5 levels of quality in DVD/VCD/MP4 format & save it on your hard drive. If you have any questions about this product by Caxico, contact us by completing and submitting the form below. If you are looking for a specif part number, please include it with your message.